“Light-emitting diode” – did you know that’s what “LED” stands for? While most people seem to be familiar with this eco-friendly lighting solution that’s rapidly growing in popularity, it’s doubtful that most people even know what “LED” stands for. 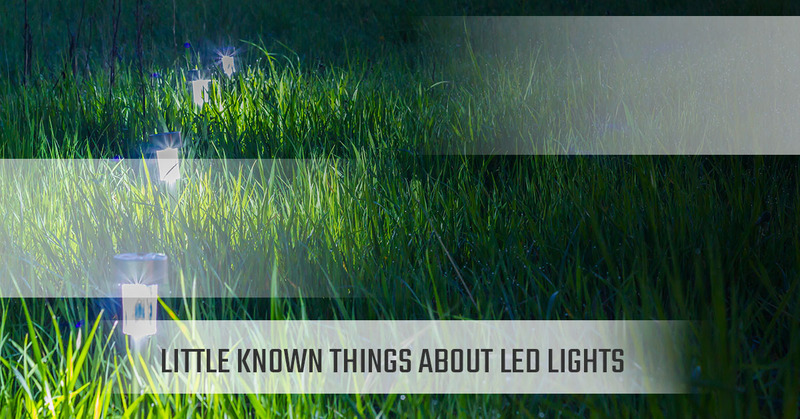 As a segue into today’s blog topic, this illustrates our point that the majority of people are yet to discover some of the lesser-known things about our favorite lighting solution – LEDs! Continue reading on below to educate yourself a little bit more. We’re proud to be Colorado’s trusted LED lighting experts here in Fort Collins, Estes Park, Longmont, Denver and other areas. Whether you need an LED rebate, you’d like to schedule a lighting audit, or you have any questions about our eco-friendly lights, New Edison Lights is the company to get in touch with! We’re excited to work with you. Are you aware of the extent to which LED lights can save money and energy consumption levels? Check this out. Back in 2012, about 49 million LEDs were installed throughout the United States, resulting in approximately $675 million in annual energy cost savings. That’s huge! It’s estimated that switching entirely to LED lights over the next two decades could save the U.S. a massive $250 billion in energy costs, while also reducing electricity consumption for lighting by nearly 50 percent. This should also avoid some 1,800 million metric tons of carbon emissions! Did you know that good-quality LED bulbs can have a useful life of up 25,000 hours or more? That’s a long time when you consider that lights aren’t constant in use, or at least, they shouldn’t be. The useful life of LED light bulbs means that they can last more than 25 times as long as traditional, incandescent light bulbs. So, if you were running them 24 hours a day, 7 days a week (again, not that you should be doing this! ), good-quality LED light bulbs would last more than three years. When you think about it, that’s pretty impressive. In the LED lighting world, the name “Nick Holonyak, Jr.” is an important one. Why? Well, Mr. Holonyak, Jr. is considered the father of the visible LED light. While working for General Electric back in 1962, Nick invented the LED as we know it today. Well, many changes have been made since then, of course, but it’s interesting to think that this relatively modern and recent lighting solution has been in development for decades and decades! Thank you for your innovation, Nick. If the entire United States were to replace just 50 percent of the existing incandescent Christmas and holiday lights used around the holiday season, the potential energy cost savings start around $17.2 billion. No big deal. From Denver to Fort Collins, Estes Park and Longmont, New Edison Lights is dedicated to providing our Colorado home with expert LED lighting solutions. Whether you need a lighting audit for your company, you need a rebate for LED lights, or you’re curious about the cost of new LED bulbs, we’re prepared to help you improve your lighting systems. Get in touch with New Edison Lights today to learn more.